Townswoman’s Holiday Dress (Back), late 19th-early 20th century. Sarafan and Linen Shirt, Central Russia; Shawl, Pavlovo-Posad, Moscow region, Russia. Private Collection of Susan Johnson. Embroidered cotton, cotton lace, silk shawl. Townswoman’s Holiday Dress, late 19th-early 20th century. Sarafan and Linen Shirt: Central Russia; Shawl: Pavlovo-Posad, Moscow region, Russia. Private Collection of Susan Johnson. Embroidered cotton, cotton lace, silk shawl. In the 19th century, festive garments worn by town and village women differed in their components and styles, but were strikingly similar in the high level of decorative detail. Lace, ribbons, beads, gold thread embroidery, silk sashes and shawls were common in the towns and villages of central and northern Russia. The townswoman’s costume reflects the late 19th century fashion in Russian peasant style, with bright colors and traditional embroidered patterns. The blouse and apron with lace inserts are made of cotton and embroidered with cotton and linen thread in cross-stitch and braiding. The silk shawl was made in the mid-19th century in Russia. Worn on weddings and other special occasions, the beautifully decorated black festive sarafan is gathered in pleats and decorated with gold thread, broad store-bought ribbon and metal buttons. 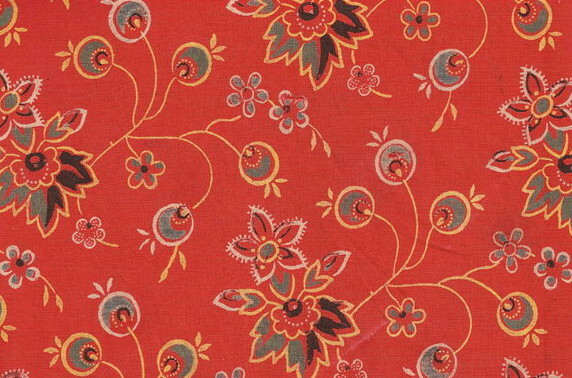 The printed woolen shawl was made at the Pavlovo-Posad textile factory, Moscow region, in the late 19th century. Sarafans of this style were common in central Russia.